In a game that will have massive implications in the Region 4-5A standings, the Eagles will be hosting the Trojans from Soddy-Daisy on the friendly turf of Bill Horton Field for Senior Night this Friday. Rhea County (4-4, 2-1) is coming off an impressive 34-10 win on the road at Marion County, while Soddy-Daisy (4-3, 0-2) was handed a tight loss at home at the hands of Bradley Central. Soddy-Daisy has had a hot season this year, exceeding the expectations of many on their way to a respectable 4-3 record that includes one-point losses to Lenoir City and Knoxville Catholic in region play, while also flexing their offensive prowess in blowout wins over Hixson and East Hamilton and upsetting Ooltewah in convincing fashion. -Talented athlete that can play multiple skill positions that is always dangerous when the ball is in his hands. -Quick back that also can play stout on defense. -Sure-handed receiver that is a vertical threat in the passing game. Breakdown: This Soddy team is just a couple plays away from 6-1 on the season, 2-0 in the region, and a Top Ten ranking in 5A, so it would be crazy to take them lightly. They feature a strong passing attack that is one of the most dangerous in the Chattanooga area and can hang points on just about anyone. 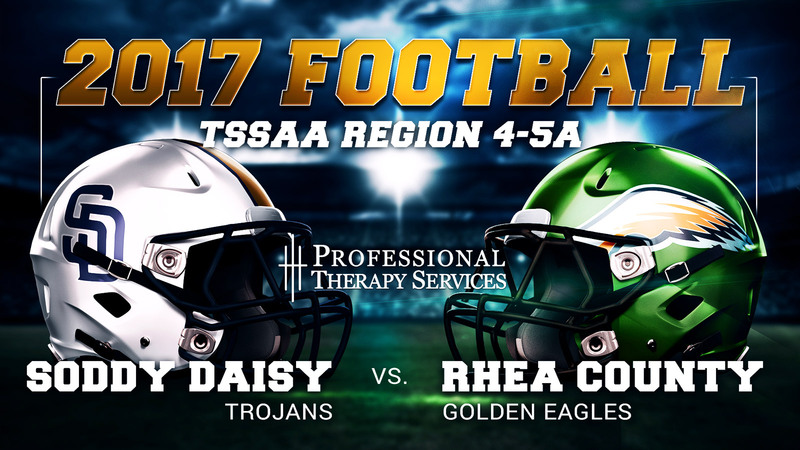 I look for Rhea County to run the ball, eat the clock, and limit the opportunities for Soddy-Daisy’s potent air attack. I like the Eagles’ chances in this one, but it will certainly be a tough challenge.